Lloyd Williams will decide on Tuesday if Melbourne Cup favourite Yucatan contests Saturday's Group 2 Zipping Classic (2400m). Williams' Macedon Lodge outfit has four entries in the $300,000 race apart from Yucatan - Homesman, Midterm, Sir Isaac Newton and last year's winner The Taj Mahal. Williams traditionally targets the Sandown feature as he seeks to build on Zipping's legacy. The race, originally called the Sandown Classic, was renamed in Zipping's honour after the warhorse's quartet of wins from 2007-10. With Tanby's victory in 2012 and The Taj Mahal last year, Williams has savoured six wins in 10 seasons. Now trained by Liam Howley, Yucatan finished 11th in last week's Melbourne Cup after failing to handle yielding ground. Ciaron Maher could launch a dual-pronged attack on the Listed Sandown Cup (3200m) as imports Wall Of Fire and Dal Harraild chase their first wins on Australian soil. Wall Of Fire, who ran second in last year's Herbert Power Stakes, finished last in the Geelong Cup behind Runaway. Maher scratched Wall Of Fire from last Saturday's Queen Elizabeth Stakes (2500m) and hopes the decision is vindicated at Sandown. 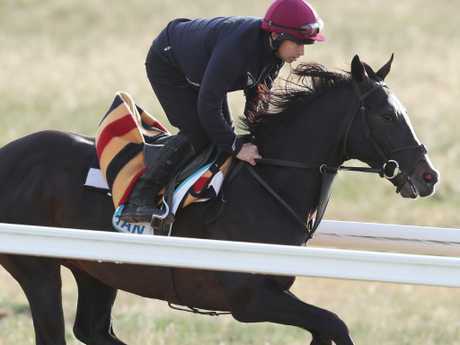 "He likes a bit of cut in the track and I think the two miles (3200m) might be better for him as well," Maher said. Maher said he would nominate Dal Harraild for both staying features at Sandown. 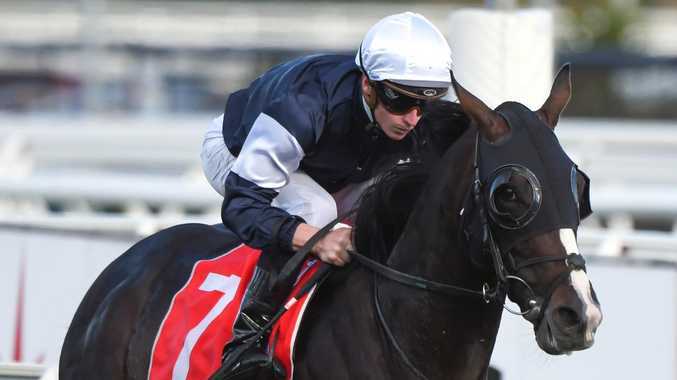 We'll nominate him for the Cup and the Zipping Classic (2400m)," he said. "I reckon he went well enough to have a shot at the Classic." 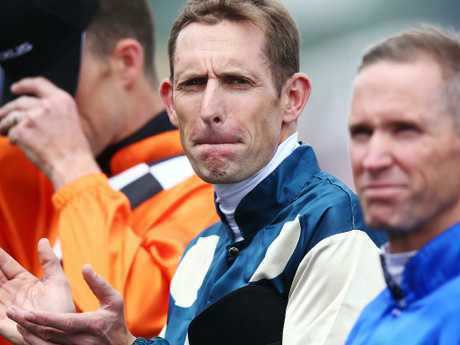 Meanwhile, jockey Hugh Bowman will argue a 21-meeting ban for weighing in overweight in the Melbourne Cup is excessive when he faces the Racing Appeals and Disciplinary Board on Tuesday. The champion jockey finished second on Marmelo before weighing in at 56kg instead of 55kg - 100 grams more than the leeway tolerated. Bowman claims up to "four or five other jockeys weighed .9 over, which I am allowed to do". He said he had weighed out at 55kg 90 minutes before last Tuesday's Cup but drank a bottle of water before mounting Marmelo. "I knew exactly where my weight was at," Bowman said. "And I misjudged it by 100 grams. Hugh Bowman stands for the national anthem before the Melbourne Cup. "If I was .9 over, I would have been right. (But) I came in exactly one kilogram over and I'm not allowed to do it. "I accept responsibility, but I think the penalty far outweighs the problem." Bowman pleaded guilty to three charges out of the Cup - careless riding, excessive whip use and his weight. Stewards imposed separate penalties of 12 meetings, eight meetings and 21 meetings. They ordered all three bans be served cumulatively, but to avoid making the combined suspension manifestly excessive they reduced the term to 35 meetings. It is unclear if Bowman will appeal against the whip and careless riding penalties.